Do you have a view that never fails to take your breath away… no matter how many times you see it? 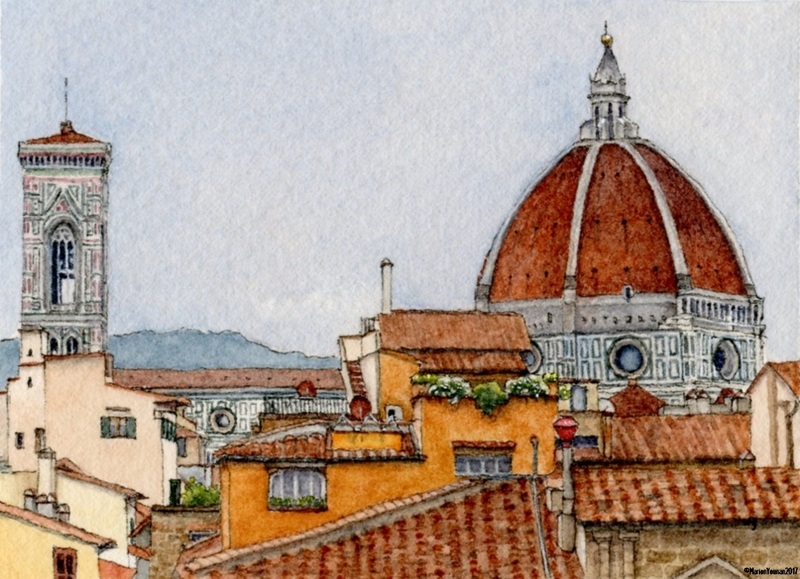 My favourite is probably Florence’s Cattedrale di Santa Maria del Fiore, more affectionately known as Il Duomo. I have seen it in person dozens of times, and it always makes me sigh and renders me speechless. Even when I see a photo of it, I’m affected! As I’m off to Italy in early May, I’ll be making a quick stop in Piazza del Duomo to be blown away, astonished, flabbergasted, bowled over, dazzled, agog, and ultimately… made speechless!! Love this post! Beautiful sketch! 😍And I totally agree on Il Duomo… Each time I’ve seen it is like the first time! Amazed! Thanks much, Charlie! So incredible that places like this can continually transfix us! I like the sketch also. I am learning Italian, so maybe someday I will visit Italy. Not now though, as I am not able to leave NY City. Keep up the pleasure of drawing! Thanks, Cindy! I hope you’ll be able to visit Italy soon… and having knowledge of the language will be a big help! Oh, I am envious!! I have only seen it once, and I NEED to see it again!! Beautiful painting….. Thanks much, Sheryl! I can definitely relate to your NEED!! I have just discovered and started to follow your blog which I find quite beautiful and inspiring. 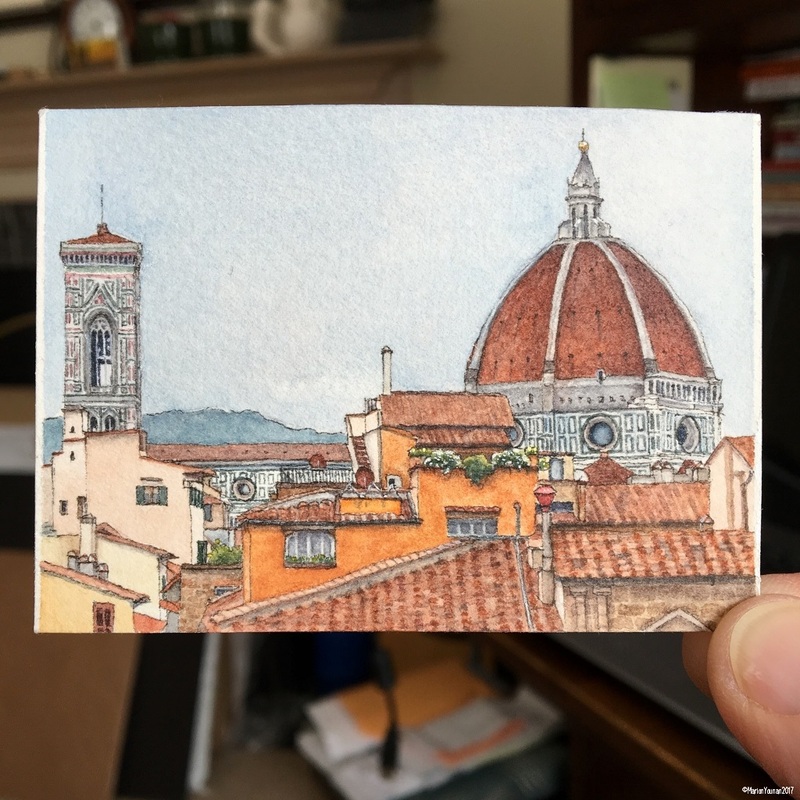 My wife and I travel extensively around the world and always visit galleries and museums as we go, often seeking connections between art and travel generally or an artist and locality specifically. Your sketches do this perfectly as we try to do with a camera since neither of us can draw or paint to save our lives! Would you mind if I reblogged this post on my own blog? Thanks so much, Drs. B & C! I appreciate the support, and love connecting with other travel enthusiasts!